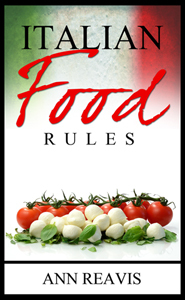 The stories of immigrants and expatriates who choose to live in Italy are some of the best tales told about present and former residents of Florence and Tuscany. Frederick’s grandfather, Giles Stibbert was the source the impressive family fortune, but he came from very humble beginnings. Born 1734, in Norfolk, England, he went to sea as the cabin boy to the captain of a Far East trading vessel, but at 22 years of age he disembarked in India. 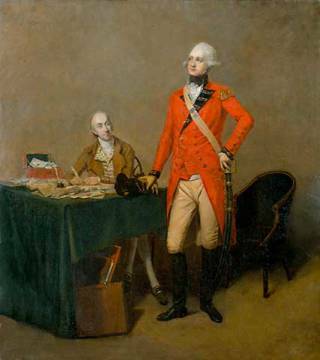 Giles enlisted under the patronage of Robert Clive in the military arm of the British East India Company, which was a private corporate armed force, and was used as an instrument of geo-political power and expansion, rather than its original purpose as a guard force. It soon became the most powerful military force in the Indian sub-continent. Giles Stibbert quickly climbed in rank and wealth because, unlike enlistees in most state-sponsored militaries, there was money to be made as the East India Company plundered the resources of India. In January 1765, Captain Stibbert was ordered to lay siege to the hitherto impregnable Moghul fortress of Chunargur. A month later, the fortress of Chunargur surrendered to Stibbert’s forces after a sustained and bloody battle. Lord Clive promoted Stibbert to the rank of Major. In December 1765, Stibbert married 20-year-old Sophronia Rebecca Wright, the daughter of a clergyman, in Calcutta. Giles and Sophronia spent six years (1768-1774) in England, during which three sons were born. The oldest, Thomas (1771-1847) was Frederick Stibbert’s father. The family returned to India, where Giles climbed in rank to Bengal Commander in Chief and was charged with reforming the Indian Army. He resigned in 1785. The family went to live in a grand manor house Giles had built outside of the town of Southampton, surrounded by 600 acres. Giles died in 1809. 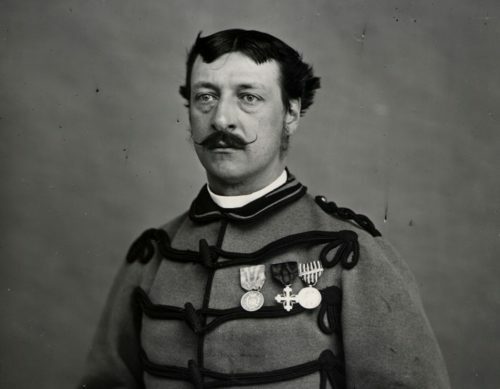 Frederick’s father Thomas Stibbert was also a soldier. He enlisted in the Coldstream Guards and fought Napoleon’s forces in Egypt, Spain and France until the French defeat and the fall of the First Empire. Eventually, after living in Rome, he settled in Florence in 1836, where a couple of years later, at the age of 67 he married 33-year-old Giulia Caffagi from Stia, a tiny hill town north-east of Florence. She may have been Stibbert’s housekeeper. They were married in Malta and had three children: Frederick (also known as Federigo or Federico), born in 1838, followed by his sisters, Sophronia and Erminia. Thomas Stibbert died in 1847 when Frederick was nine and away at boarding school at Harrow in London. 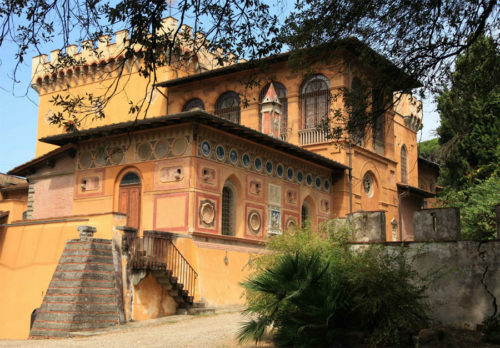 In 1849, Frederick’s mother bought a large villa, once owned by the Davanzati clan, on the edge of Florence in a neighborhood called Montughi. Frederick remained at Harrow, reportedly a very poor and rebellious student, until he matriculated to Cambridge, where he did no better. In 1859, Frederick came of age, returned to Florence to his mother’s home, and came into his vast inheritance. As the only male heir of his grandfather Giles Stibbert, he inherited the wealth of his father and his uncles. He proved to be a good business manager and investor, as well as astute at taking advantage of the many changes caused by the early efforts for unification of the Italian State in 1861, and the role of Florence, as the nation’s capital in 1865. In 1866 Frederick took part in the war for the Third Italian War for Independence with Garibaldi’s troops and was awarded a silver medal for his valor during the battle of the Trentino. Wealthy and brilliant, Frederick had an active social and cultural life, both in Florence and in London. Passionate about horses, he owned a stable of thoroughbreds. He never married, but was popular with both men and women. He was known to be a bit of a dandy, appearing frequently in London’s social magazine Vanity Fair. He was devoted to his mother. His sister Sophronia married into the noble Pandolfini family and was famous for her gardens and orchid house. Erminia apparently died young and disappeared in history. 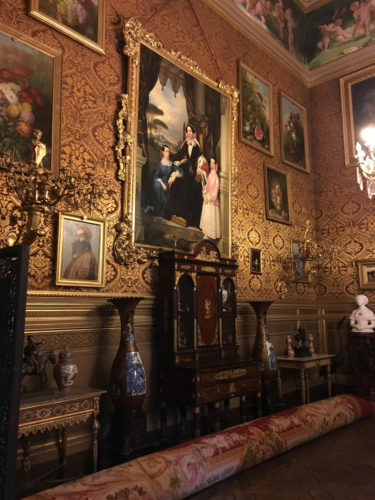 His multifaceted nature as an international financier, habitual traveler and passionate collector contributed to the realization of the greatest project of his life: transforming the Villa of Montughi into a museum. This goal drove his every action for fifty years. In his last will he left the museum to the British Government, with the obligation to keep the collection in Florence and to establish the museum in his name. In case of withdrawal by the British, the bequest passed to the municipality of Florence, as actually happened in 1908 . After Frederick’s death in 1906 the museum was opened to the public (1909).